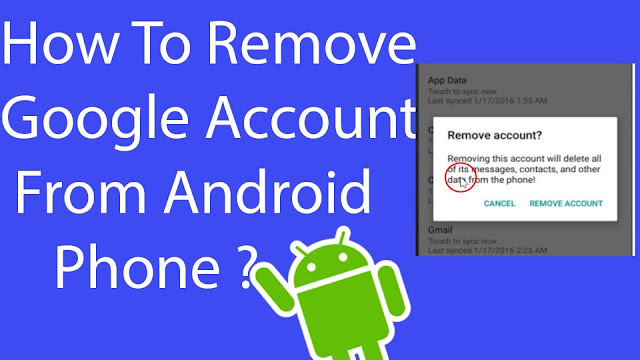 In this article today we will see how to remove Google accounts from your Android device. Now Google account is important for you to activate your Android device. Also if you want to download application from Play Store then you need your Google account. But if you want to remove the old Google account and use a new one and you don’t know how to go about it, then you are at the right place. This is very simple step to follow so pick up your old android phone and follow me. Step 1. Now what you do at first go to settings and under personal accounts, select Google. Step 2. Now you will see the Google account which you have right currently listed there. If you want to remove the Google account, select the Google account by taping on it. Step 4. From the next tab, select remove account. Note that when you remove the google account you will lose all messages and contacts associated to that account on the said device. Proceed at your own risk. If you still want to remove the account, select remove account to delete. Now once you have removed the account you can add a new one at any time. So if you want to add a new account after removing the old one you can Settings again. Now you need to enter the new Google account in the form provided. Now you need to enter the password for this new Google account into the password area and tap next. Follow the next on-screen instructions to add your new Google account. You can see the google account has been added. Scroll on here if you want to back up the device application data everything you can enable this option. Now that the google account has been added, you might not see it at first. if you want to see your newly added google account, select Google and you will see your new account in place of the old Google account we just removed. You don’t have to do anything else again. Allow the device to synchronize your backed up data associated to that particular new account to your android phone. That’s it! This is how you can remove a Google account and add a new one from your android. If you found this article helpful, then please comment and share. Don’t forget to subscribe to my newsletter for more tips and tricks.